This is a collection of some early projects. It contains documentations and images from seven works created between 1997 and 1999. 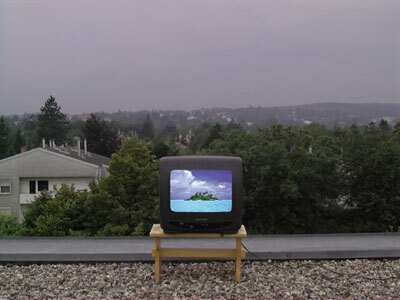 Some unnamed photos tell the story of an old viennese house, the installations “Details” and “Wetterpanorama” deal with the general topic of perception and the media, then there’s a poster work and some old video stills.